PlayClub is an online casino that has long been in the online gambling world with its heavy competition, but it always comes to the surface. That has everything to do with the high quality that PlayClub knows to deliver time and time again. Knowing more? Then read this PlayClub Review. What kind of software does PlayClub use? PlayClub was founded in 2009 and is licensed in Malta and Great Britain. To stay up-to-date in the race for new online gamblers, you as an online casino must be able to offer the best of the best in all aspects. PlayClub therefore uses the software of giants such as Microgaming, NetEnt and Evolution, but also smaller software developers such as NextGEN, NeoGames and NYX Gaming. This allows PlayClub, in addition to familiar gold games, to deliver a certain standard that evokes a high level of satisfaction among many online gamblers. The games are very diverse, something you can read in the next section. What kind of games does PlayClub have? 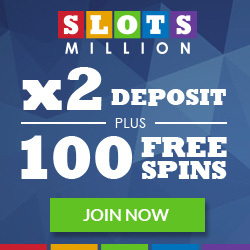 With regard to the most prominent category, slots, you can choose from video slots and classic slots. There is a choice of 16 classic slots, including the all time classic Dragon's Gold. An even wider choice can be made from the video slots, given the more than 100 games offered in this category. If video slots are offered, then progressive jackpots must be included. And so there is the possibility to play Gonzo's Quest and Starbust at PlayClub for example. In addition, all variants of Roulette and Blackjack are included in the game offer, as well as Baccarat and old classics such as Bingo and Scratch Cards. Does PlayClub have a Live Casino? PlayClub has a live casino. It is not the most extensive live casino, but thanks to the collaborations with Evolution and NetEnt they ensure that they deliver the highest quality. There is Live Blackjack, and in addition a Live Blackjack especially for members of the later mentioned VIP club, there is Live Baccarat and an extra variant, called Live Baccarat Squeeze, and in addition there are three different types of Live Roulette to play in the live casino from PlayClub: Live Roulette and Immersive Roulette, and a special Live Roulette for the VIPs. What kind of bonuses does PlayClub have? PlayClub rewards new and existing members with various promotional campaigns. For new members there is the welcome bonus of 300% to 300 dollars, with also another 100 free spins. In addition, there are daily promotions ranging from free spins to prize money, monthly cashback prizes and there is also a loyalty system that also covers the VIP club below. What about VIPs at PlayClub? PlayClub has a reward system of 7 levels. You obviously start at the bottom of the ladder as a new member, but depending on the number of bets you can quickly rise. You will be rewarded as you bet and the amount of the amounts you bet that you raise a level on VIP ladder time and time again, with which you get the higher you get the more benefits you receive, such as a welcome bonus per new level, personal bonuses and at the last two levels, which you can only reach by invitation, even a personal manager. What payment options are available at PlayClub? In order to serve everyone as well as possible, PlayClub has ensured that as many payment options as possible are possible. Please note that not all deposit options are applicable to withdrawing money. There is a choice of international services, such as credit card companies Visa and Mastercard, you can pay with Maestro and with e-wallets like Paypal, Skrill and Neteller and also Paysafe, Ukash, Giropay and Sofort are possible. For the Dutch online gamblers who prefer to use a trusted national payment service there is the possibility to use iDeal. Apart from that, it goes without saying that all casinos that are offered on Casinotop10.nl have been tested by our experts and have received approval. 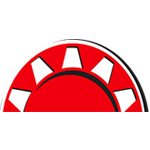 For the best online casinos you will also find an icon at the beginning of the review which indicates that we highly recommend that casino. If you have problems with a casino, please contact us quickly. Does PlayClub have a good service? In addition to a well-organized page where PlayClub tries to give the best possible answer to all possible questions that may be experienced by online gamblers, they also clearly attach a great deal of value to personal contact, especially in the case of problems that are directly related to an online gambler's account. can be nice. One can use the live chat, reach PlayClub by phone, send an e-mail or for the truly traditional online gamblers there is even the possibility to fax. Unfortunately customer service is not open 24 hours a day, seven days a week. Besides English you can choose from the Scandinavian languages.